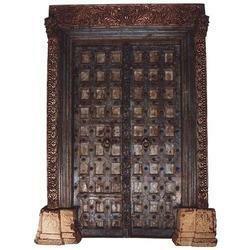 Such Wooden Haveli Door are procured from old houses. 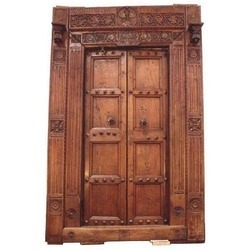 Be it architectural or decor, these doors were made in the old times with excellent craftsmanship & finish where they look like pieces of art when placed in your rooms. Mother Of Pearl Motif on wenge veneer, size: 10 x 12".Minimum order: 5 pcs.other size and veneer: can be customized. Video shows how we install a wood door properly. Owing to our in-depth knowledge in this domain, we are specialized in providing Wooden Single Door. Shutz, the flagship brand of Jawahar, brings an exquisite range of doors and door frames.